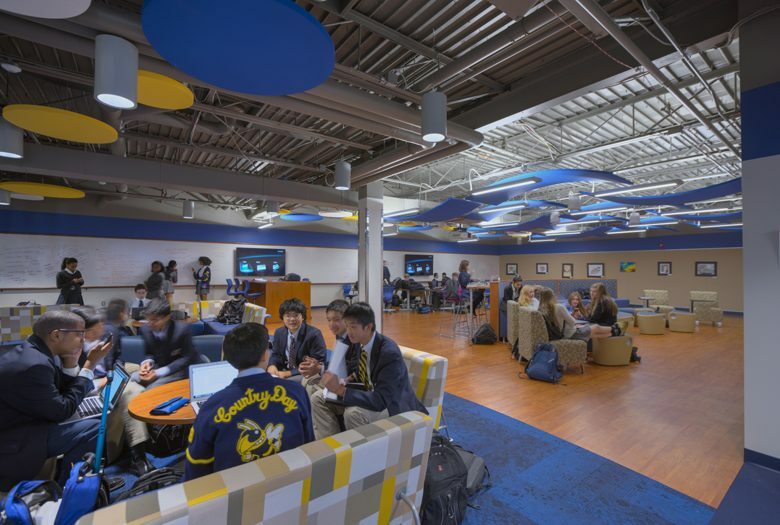 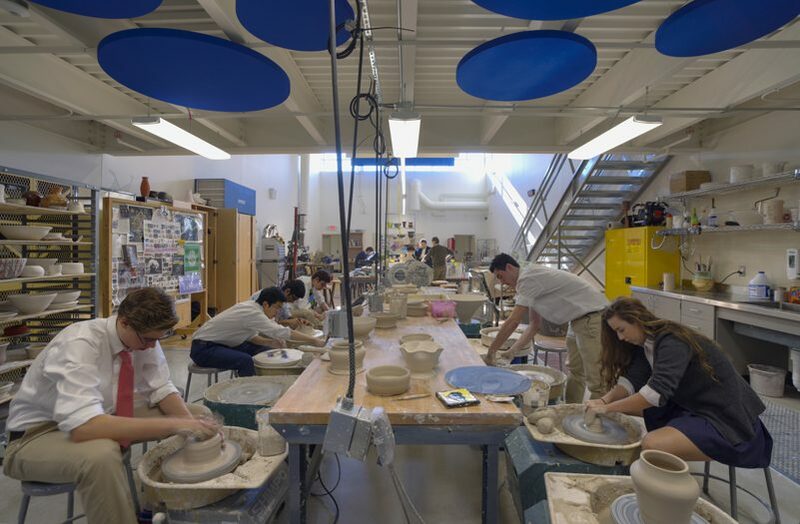 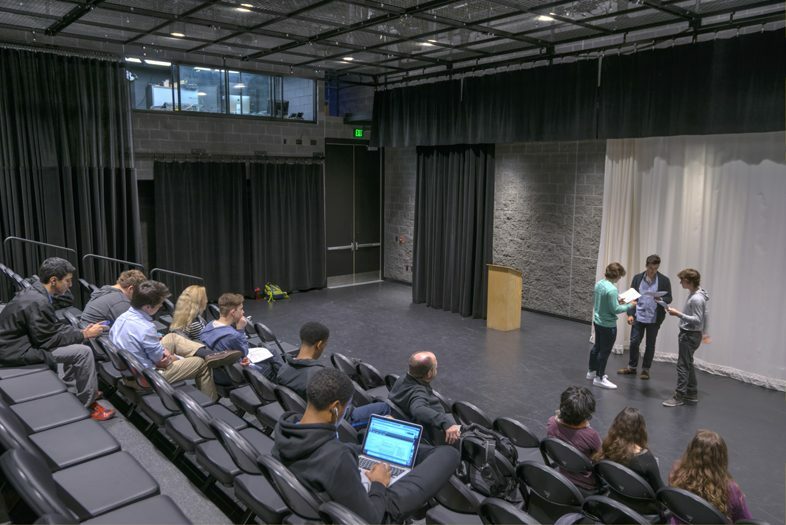 Artistically talented upper school students now have a space to shine in the renovated digital media studio and a new black box theater for Detroit Country Day School. 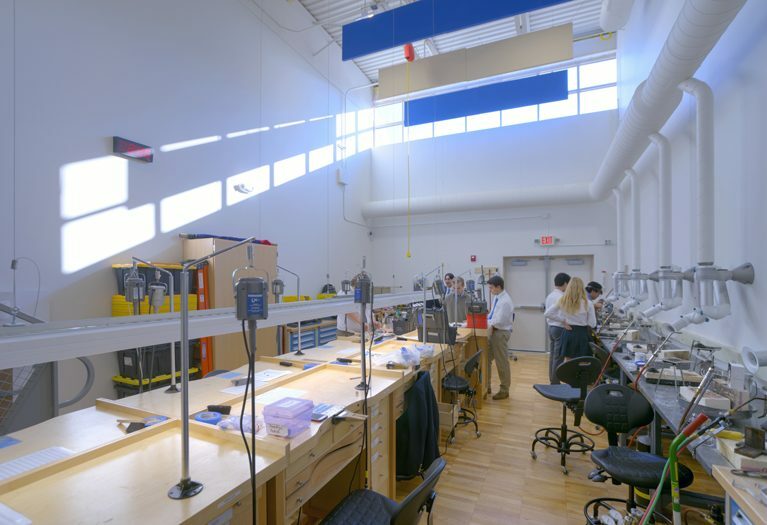 The 22,458 SF total renovation also includes four additional new studios: jewelry, metalworking and painting & drawing. 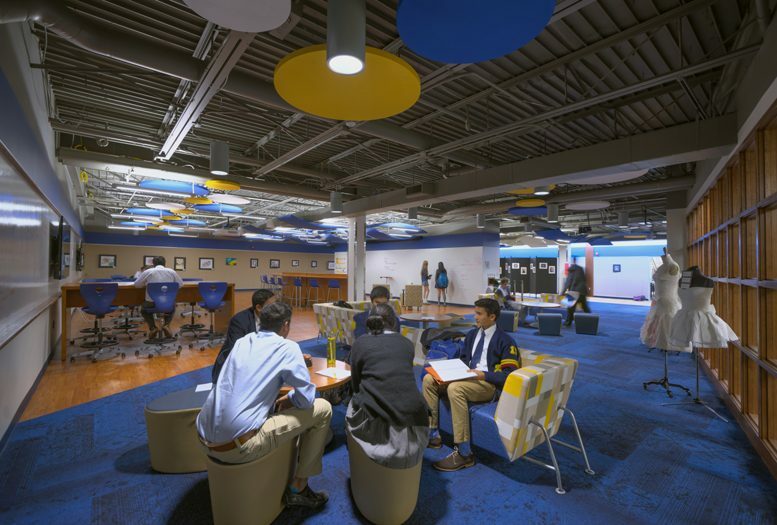 A commons area and robotics studio are included within the wing. 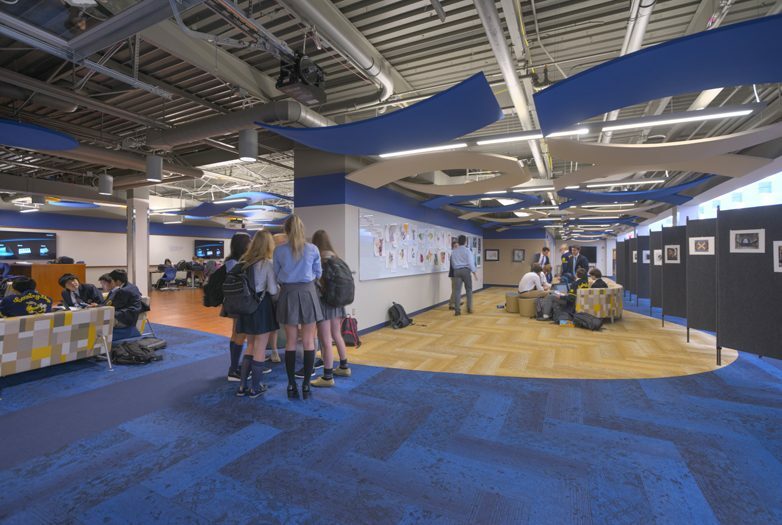 Prior to the renovation, the space included an underutilized commons area and out-of-date gymnasium. 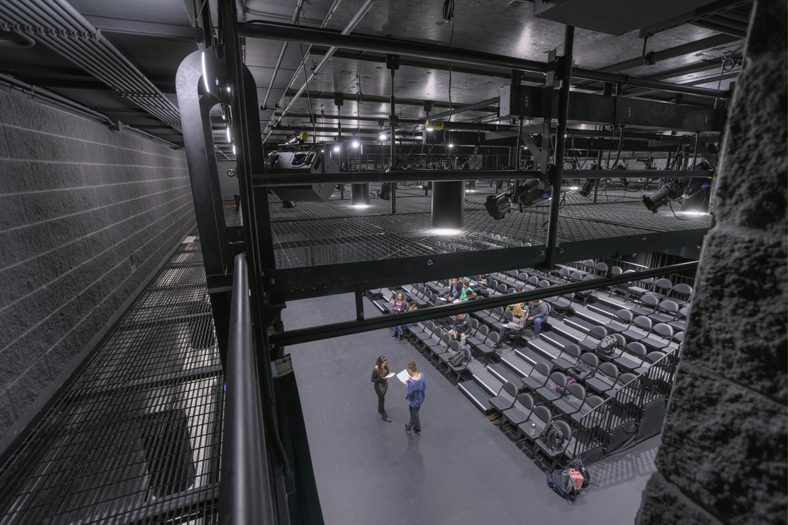 Technology within the new digital studio allows for content-sharing with collaborative software, wall-mounted screens and projectors throughout. 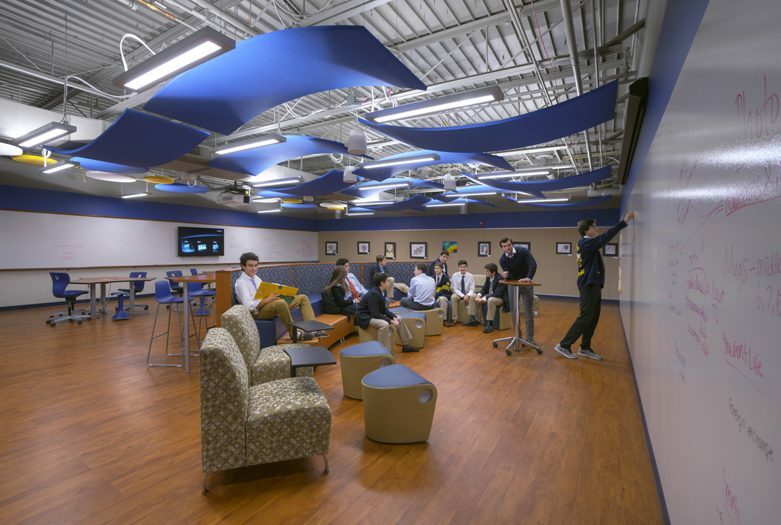 Writable wall surfaces, movable furniture and screens allow for maximum flexibility. 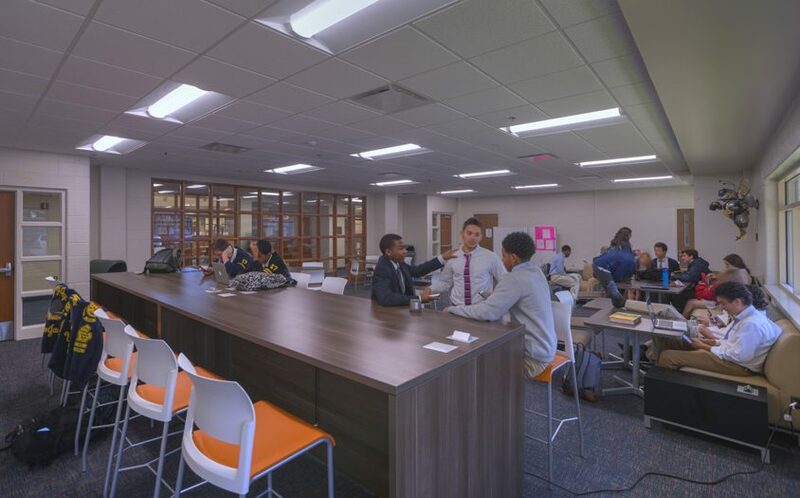 Areas are strategically located in the space to support collaboration, creation and presentation. 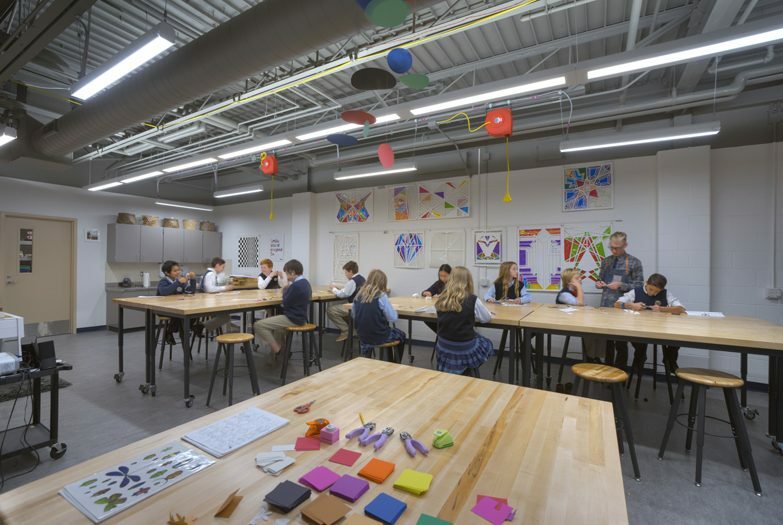 The only remnant of an outdated gymnasium is the original hardwood floors, now the base for four new art studios.